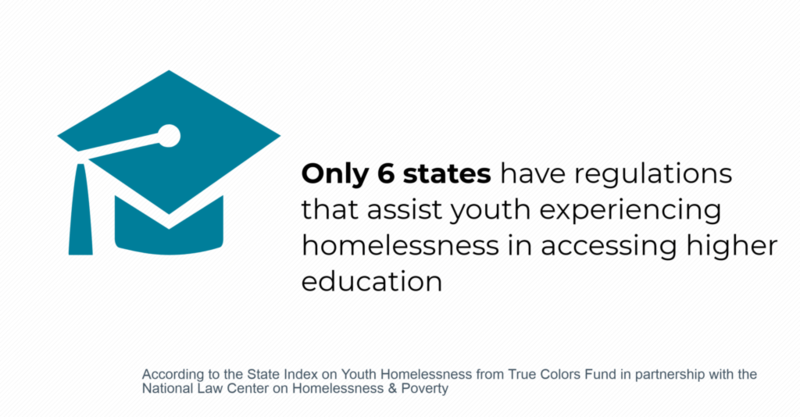 Earlier this year, True Colors Fund and the National Law Center on Homelessness and Poverty released the State Index on Youth Homelessness. This resource provides a snapshot of some of the legal, systemic, and environmental barriers and complex challenges youth experiencing homelessness face across the nation. ALL states have at least some cities that criminally punish youth and young adults for life-sustaining behaviors conducted in public like sleeping. 43 states do not address housing needs after a justice-involved youth is discharged. Click here to access the full State Index.